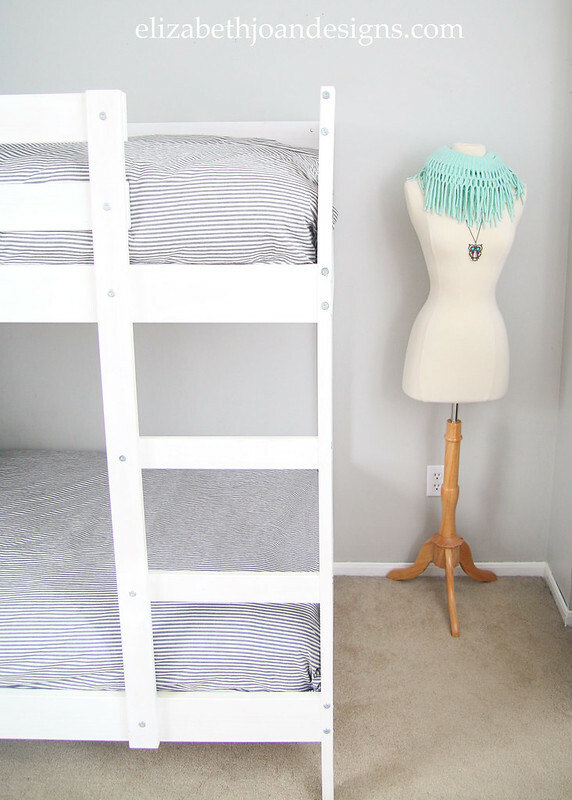 It has been forever since I’ve shared an update on our kids’ shared bedroom! (I think the last update was in May 2015.) However, I’m excited to finally share the finished wall and trim paint, along with the furniture pieces in the room. We just need to get a few more decorative items and the kid’s bedroom makeover will be complete! You may remember that we decided to put both of our kids (one girl, now 11, and one boy, 4) in the same bedroom per their request. Click here to find out more about our original plan. They love to be together and the extra space it created allowed for a playroom. 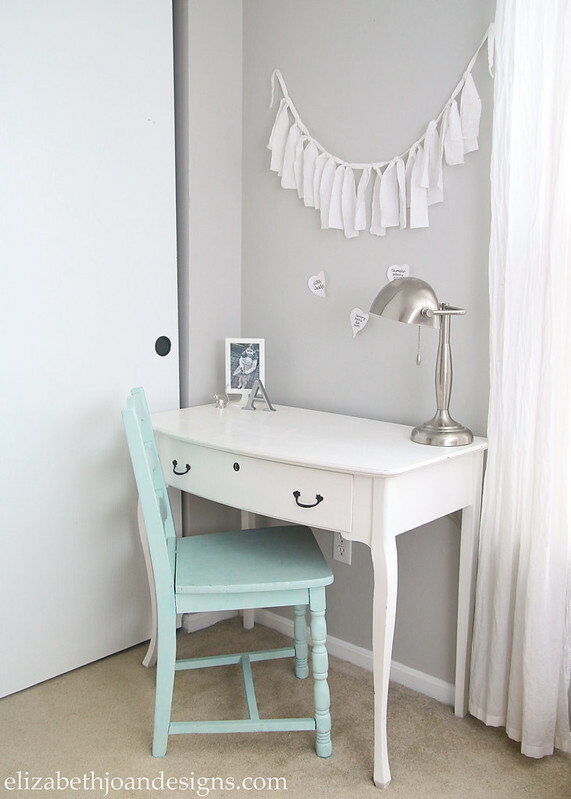 We painted the bedroom Stonington Gray by Benjamin Moore. It is the perfect gray paint color and looks awesome in any light. Even though she lost some storage space, our daughter loves sitting and doing homework here. In the room, there is the vanity turned desk that we used to have in our bedroom. When the room change-a-roo happened, we did not have space for a big desk, so we swapped and our daughter has been using this one. 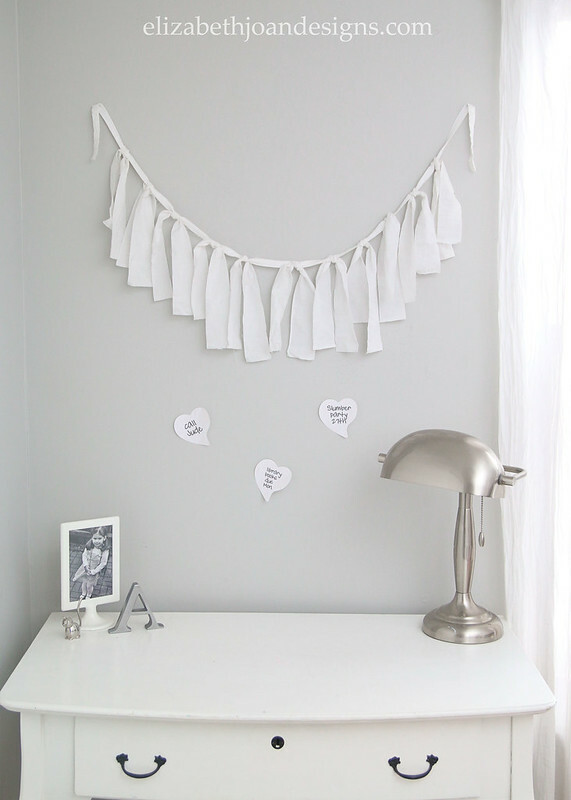 I whipped up this fabric garland in just a few minutes and I think it adds the perfect touch of femininity to her little corner of the room. 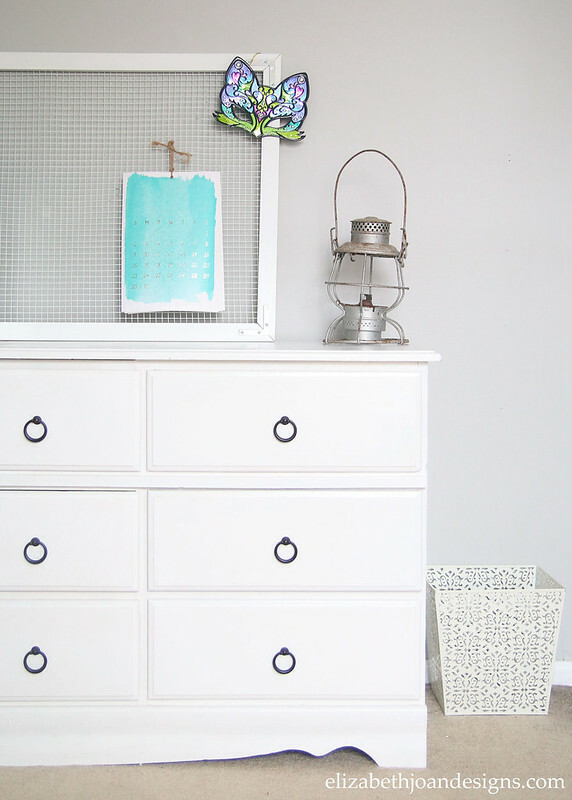 Next, is this old dresser which we painted and added drop pulls. For awhile, it served as our entertainment stand, but we moved it into the kids’ bedroom since it was big enough to hold both of their clothes. There is still some accessorizing to be done in here! We already have an old oar that we would like to hang on the wall above the beds. Also, there is some artwork that we may purchase/DIY to make a gallery wall above the dresser. However, we still really like the wire mesh pin board and if we keep it, there probably won’t be room for more. Oh, and curtains! I definitely want to get some new ones up in here. Last, but not least, if you were worried about the lack of kid stuff in the room, it’s there. Most of the toys are in our playroom, but we keep a crate of stuffed animals under the window and they usually have a few on their beds too. (I pulled all of them off for pictures). The rest of their stuff stored under the bed or tucked away tightly in the closet. This space is looking good and it feels great to be making some progress. Plus, the kids love their room and that’s what matters most! What a lovely room! So calming. Love it! 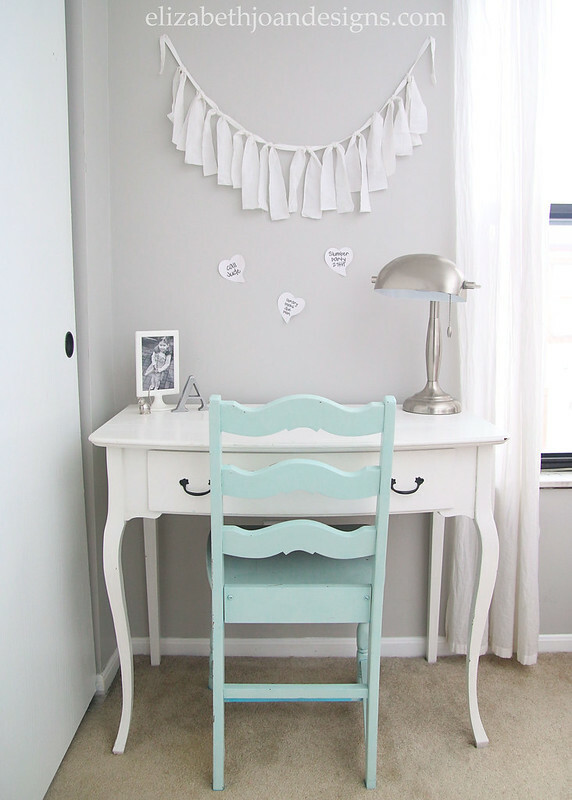 I have been wanting to update my kids room so I am going to steal your ideas! 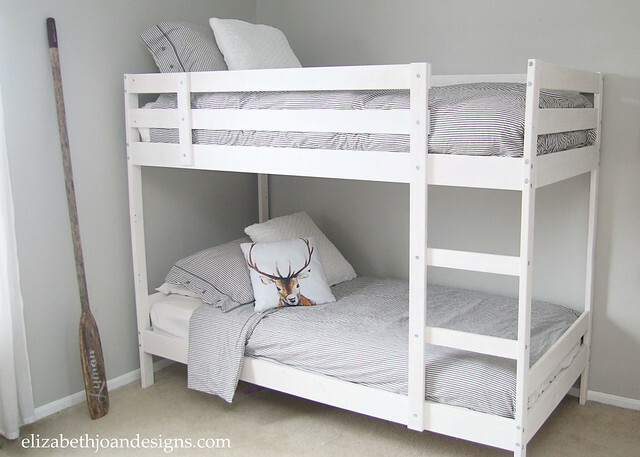 Their bunk beds are black but I think it needs to change to white! Awesome, Rebekah! I would love to see how they turn out if you end up painting things. Thanks for stopping by! Found you through the link up party and love this room!! Great job! Such a calming room!! I was wondering if you used twin mattresses from IKEA. We’re thinking of using this same bunk in our older twos shared room but was concerned the specs say to use a 5″ or smaller mattress. Thanks.